ARCHIE Tayside is part of a family of funds. Read about how we began, and how we’ve grown. 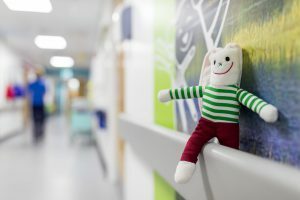 All of our funds have the common aim of making the experience of being in hospital as good as it can possibly be for children and young people. 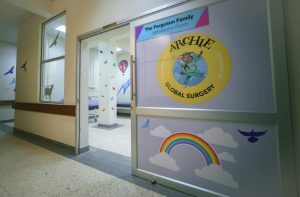 The ARCHIE Foundation was formed in 2000 in Aberdeen in order to fund the building of Royal Aberdeen Children’s Hospital. The charity started with a simple mission – to make the difference for local sick children, providing much-needed extras not already catered for by the NHS. Her Majesty the Queen opened RACH in 2004 and the charity’s impact was clear to see. But little did we know our work was only just beginning. 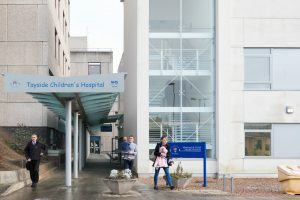 Initially extending support to community children’s health, and then to the creation of the Highland Children’s Unit in Inverness, The ARCHIE Foundation’s reach extended across the whole of the north of Scotland, making a huge difference for local children and their worried families. 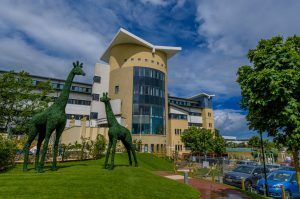 Then, at the request of colleagues in Dundee, agreement was reached to support the development of world-class new facilities in the Tayside Children’s Hospital. 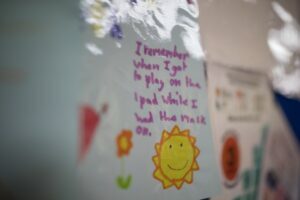 A project that will transform the experience of having an operation for hundreds of children every year. By now, however, ARCHIE had grown elsewhere too. With a twin hospital having been developed in Uganda, ARCHIE was taking lessons learned in Scotland to help develop life saving surgical programs for children in East Africa. This led to the creation of our ARCHIE Global Surgery fund, allowing donors who are interested in supporting international development work a trusted local brand through which to do that. 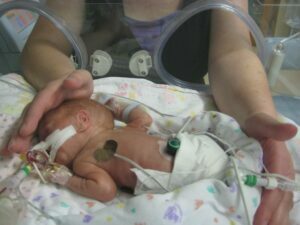 In 2016 we welcomed the specialist neonatal charity The Friends of the Special Nursery into the ARCHIE group. Providing incredible care for babies born too soon or too sick, this dedicated fund provides genuinely exceptional care for local families and their newborn babies. 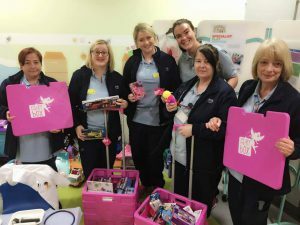 And indeed a further addition was welcomed in 2017, when Fairy Box, a wonderfully simple fund that turns tears into smiles by sending toys to children hospitals, also became a dedicated fund within the ARCHIE family. Archie’s family tree has grown a great deal over the last 140 years, now transforming the healthcare of nearly 200,000 children every year through the different dedicated funds that make up our small family. By working together, as one charity with many dedicated funds, we are more efficient and better co-ordinated. Our many donors who truly make this difference know where their donations will be spent too. However you support us, and whether thats to one of our funds or to them all, thank you for transforming children’s healthcare, we simply couldn’t do it without you. Children's health is a subject close to my heart and I'm delighted to be part of the official charity for Tayside Children's Hospital.